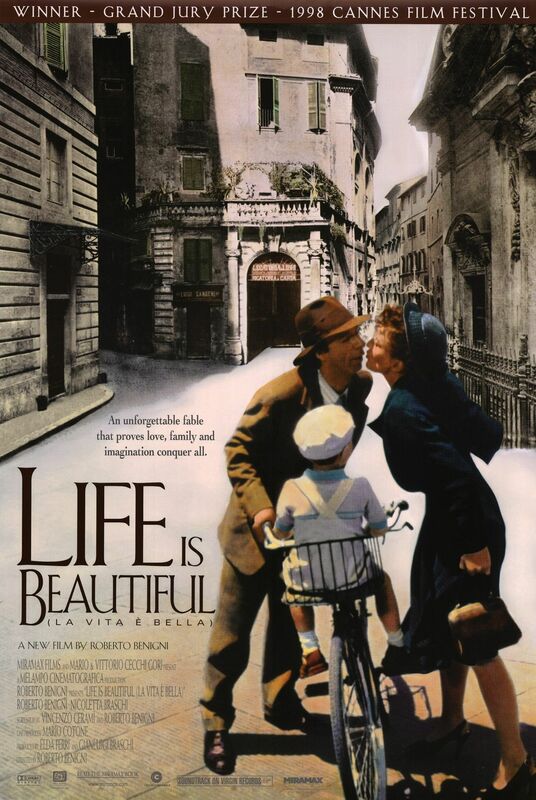 Life is Beautiful is a brave film in many ways. It starts off as a comedy about a man, Guido (Robert Benigni), who is so desperately trying to win the love of a beautiful school teacher, Dora (Nicoletta Braschi, Benigni’s real-life wife). He drums up a series of “coincidences” that leads him to falling off his bike into her arms, and he even infiltrates her school just to see her by posing as an Italian fascist inspector. His big speech to the students praises the superiority of the Italian race and their perfect earlobes and navels, all in jest, of course. To Guido, everything is a joke. His sense of humor and comedic timing are what gets him through an increasingly hostile Italy in 1939. See, Guido is a Jewish man, and he is becoming a more and more frequent target of hate by the locals. His uncle, Eliseo (Giustino Durano), is already dealing with the newfound animosity, as his storefront is wrecked by some fascist vandals. Yet Guido perseveres, putting on a smiling front and taking it all in stride. Eventually, he gets his girl (in the most epic fashion, riding a white horse spray painted in racial epithets), and things seem to be looking up. Fast forward five years later. Guido and Dora are now married with a young child, Joshua (Giorgio Cantarini). They own a book store, and despite a crude sign announcing the owner is a Jew, they make the best of it. That is until the Nazis come into town, rounding up every Jew in the area, Guido and young Joshua included. Dora, after learning of their seizure, runs to the local train station, demanding to be brought on board with them. After some deliberation, she is allowed to board the packed train, which has the most horrific destination imaginable: a concentration camp. Guido, bless his heart, continues to try to make the best of the situation. He spins this trip into a game for his young son, telling him that he will get a tank if he wins the game. Surely Guido knows the chances of this ending well are slim, but his outgoing demeanor tries to cheer up the spirits of those around him, especially his son. 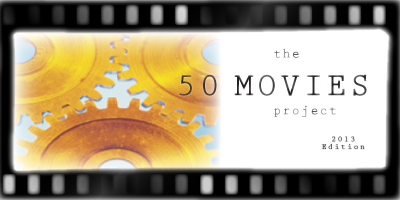 Now, this is where the film grows bold in its delivery, and it has received a great deal of criticism for its approach. Guido is constantly cracking jokes (“Buttons and soap out of people? That’ll be the day!”) about a very sensitive and very real atrocity. Sometimes his attempts to be funny are just flat out obnoxious and inconsiderate, such as when he pretends to speak German just so he can jokingly translate orders from a Nazi officer. 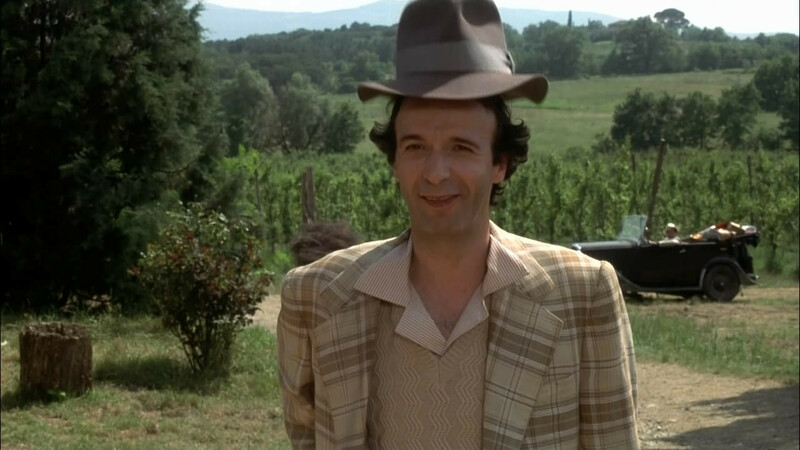 I get that Guido (and Benigni himself) is just trying to make the best of a horrible situation, but he really should know his limits. Still, even with these potentially inappropriate moments, there is a great story underneath it all. This is a tale of the strength of a family, and the bond of love between father and son, and husband and wife. This is about a man who can find the beauty in life, even in the most dire situations. 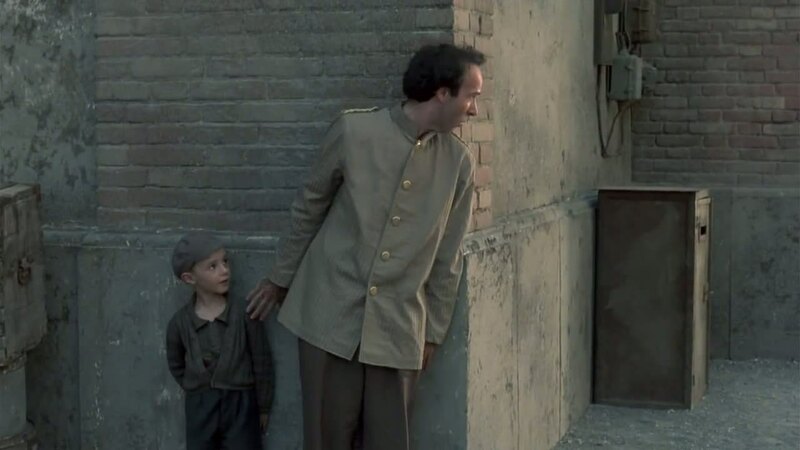 While Benigni can overstep the line past obnoxiousness, his Chaplin-esque antics are visually appealing. There is a certain type of charm to his character, and we could all learn something from his optimistic views.